To help prepare you for the Guardians of the Sky update coming August 14, we’re putting some awesome flying mounts on sale. 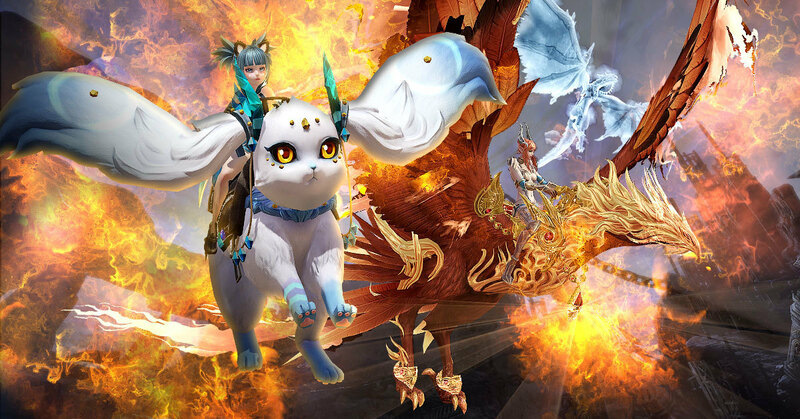 From Thursday, August 9 at 10 a.m. PDT until Friday, August 31 at 10 a.m., save big when you purchase flying mounts, flight suits, and select flying mount loot boxes in the TERA Store for PC. And if that’s not tempting enough, save bigger! The following direct-sale mounts, flight suits, and bundles are 50% off! Or go big! To round out this amazing sale, we’re offering these dragon mounts as direct-sale for the first time ever at 6995 EMP (5945 with Elite discount). Each of these dragon mounts has a Flight and Movement Speed of 290, restores 1% of your max HP/MP every second, and grants the passive skill Dragon Master, which has a chance to increase your Crit Power against monsters by 1.5 when not mounted.